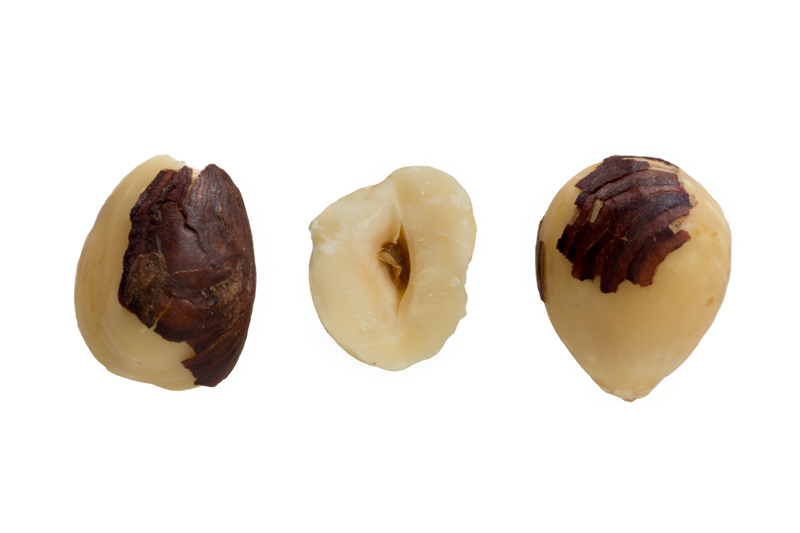 The Hazelnut – used to make praline and often found in the company of chocolate. The Hazelnut is the fourth image in my macro photography series The Smaller Side of Snacks. One of the fun parts about shooting this series is that I get to eat all of the rejects as I hunt for subjects that have the right balance of character, these three fit the bill well. I quickly discovered they like to roll around, a lot. I had to square off the bottom of each nut, otherwise any tiny adjustment to the positioning of one resulted in the other two rolling away.